Click and Grow: The Perfect Classroom Growing System for any classroom and any grade level. Last year, a parent in my classroom wrote a grant and got us a Click and Grow Smart Garden 3, which we used to grow basil…and a lot of it! 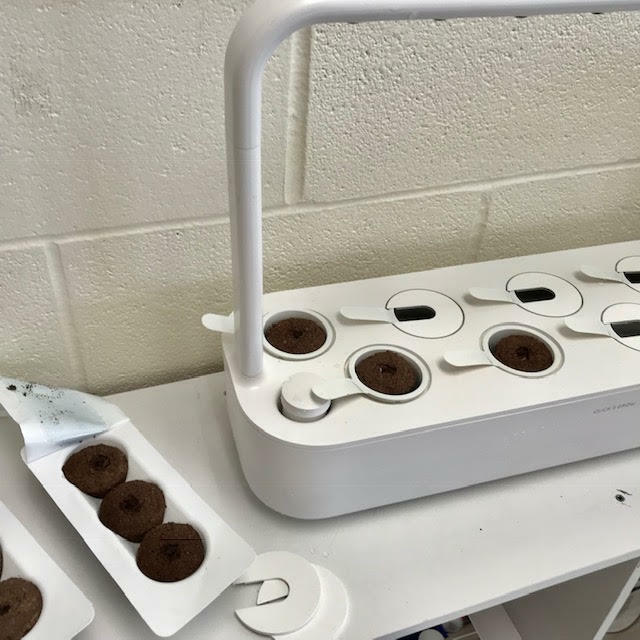 Student drop in the seed pods, add water, plug in the system, and watch their plants grow. In the meantime, we are having conversations about plant growth, ensuring that everything is growing and the conditions are right, and eventually repotting the plants in new pots as they grow out of the Smart Garden! Students love the process, and honestly, so do I! It’s great seeing the growth of our plants and how quickly they grow using the Smart Garden! This year, we still have our Smart Garden 3, but Click and Grow now has a Smart Garden 9, which grows 9 plants at once instead of 3. 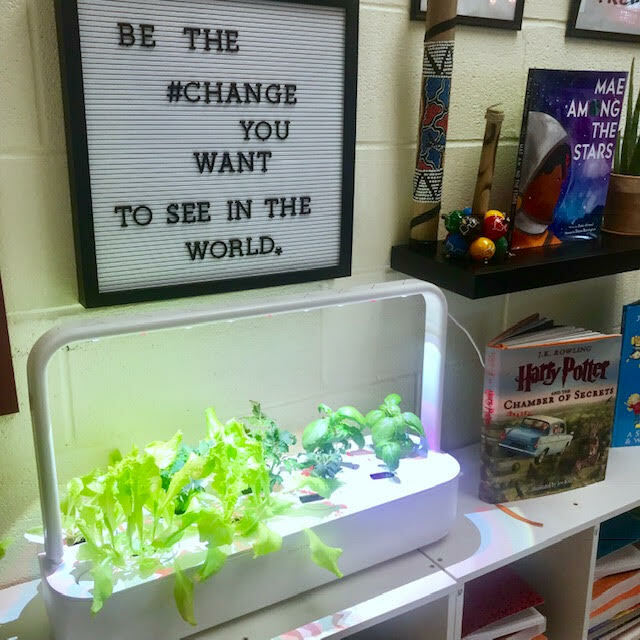 We currently have basil, tomatoes, and lettuce growing in our classroom garden, along with even more basil in our Smart Garden 3! The Smart Garden 9 has an upgraded LED lighting system that automatically comes on for just the right amount of time per day! You can snag a Smart Garden 3 or a Smart Garden 9 on Amazon (click on the links to check them out). Pro tip: You can also request these gardens using donorschoose.org! Throw together a project, get it funded by friends, family, and businesses, and you will have your gardens in no time! We also are planning to do more experiments with our Smart Gardens this year. We are going to change some variables with the pods to start using the scientific method. Some pods are going to be standard pods. We are then going to add Miracle-Gro to others. We are also going to add an “off-brand” plant growth formula to others. As a class, we are going to make a hypothesis about which plants will grow at a greater rate, draw conclusions, and test more variables to see results. 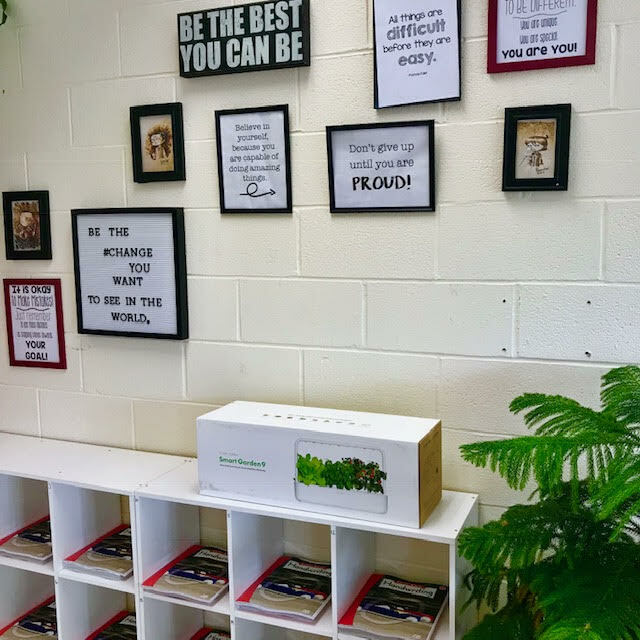 From one teacher to another, the Smart Gardens are amazing, and I’m sure your students will love them, as well! Now, here is the part you have been waiting for! A BIG giveaway! I have teamed up with Click and Grow to give you a Smart Garden 9, which is a $199 value! Click this link to enter the giveaway! I would love to get this for my class. What a great addition to classroom learning! This would be great to have in the class and share with the kiddos.